Here are some more photos of my radioactive material collection. 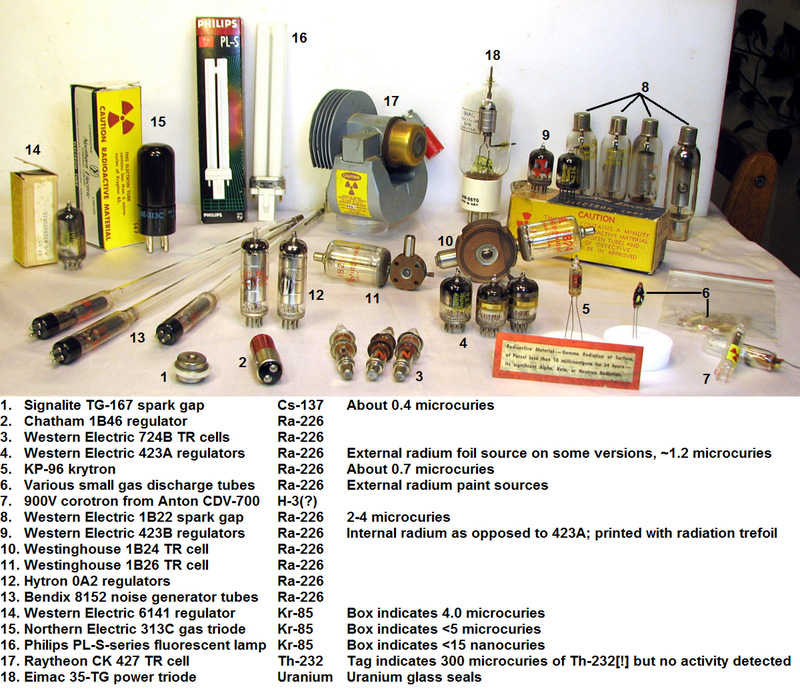 Featured today are radioactive vacuum tubes, radioactive optics, radioluminous items containing radium, and some recently-acquired resistors containing uranium. I collect and buy radioactive material (duh!). If you have some, and it’s in need of a good home, let me know! 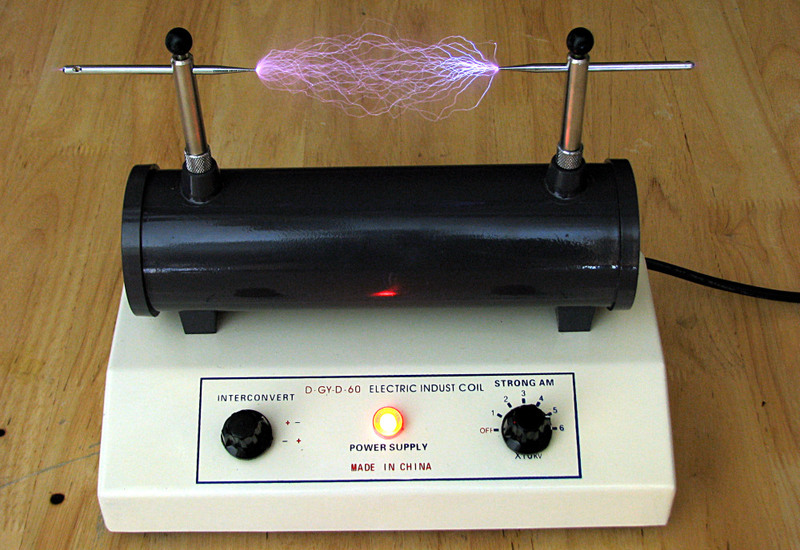 Many types of electronic tubes contain radioactive material. Click on the thumbnail for a larger, numbered image. 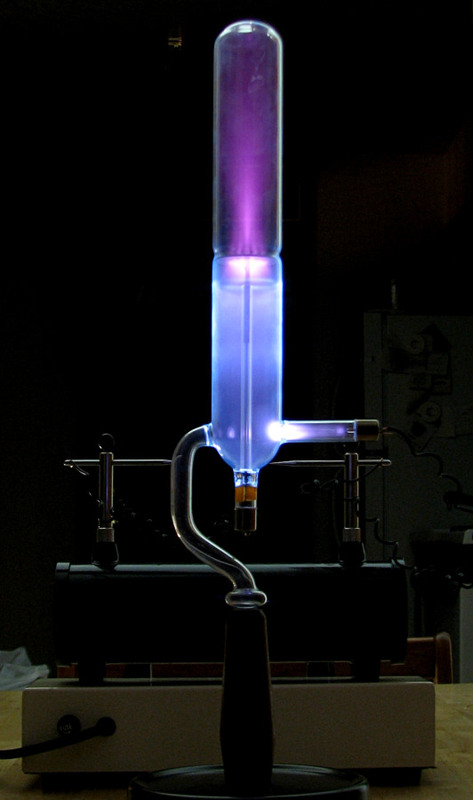 The purpose of adding a radioisotope to a vacuum tube is usually to ionize residual gas in gas-filled types, improving the timing characteristics or helping to “strike” a discharge. Uranium glass saw much use in the metal-to-glass seals for tubes of all kinds. Its coefficient of expansion more closely matches the metal than the regular soda glass of the package, and the slight radioactivity is merely incidental. Various isotopes are found in tubes: these can include artificial H-3, Ni-63, Kr-85, Co-60, and Cs-137; and natural Ra-226 and Th-232. The activity is usually internal to the tube, but some of the examples shown here feature external radium sources. Unknown first-generation image-intensifier tube from a military night-vision system. 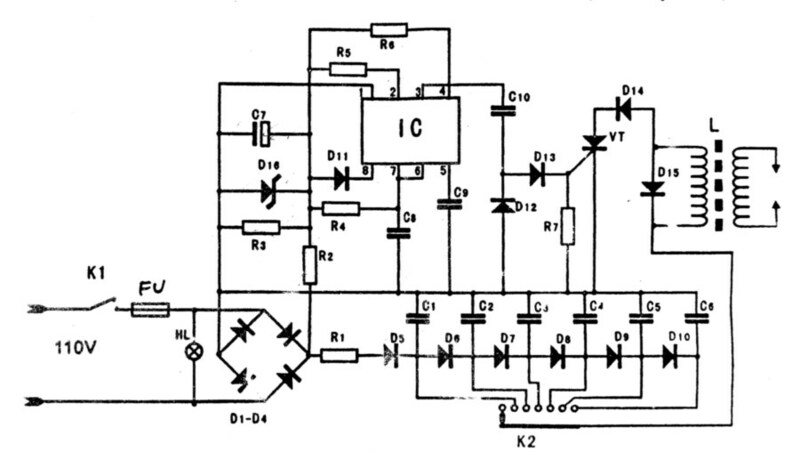 The output optic on this tube is, as far as optics go, the most radioactive thing I have encountered–it reads 50 kcpm on a pancake GM tube, and about 1.5 mR / hr on an ion chamber. Kodak Pony 135 Model C camera (mid-1950s), with thoriated Anaston lens. Not all Ponies have radioactive lenses. Reads 4500 cpm on a pancake GM tube. Angenieux zoom lens for television or film, Type 10 x 15 B. 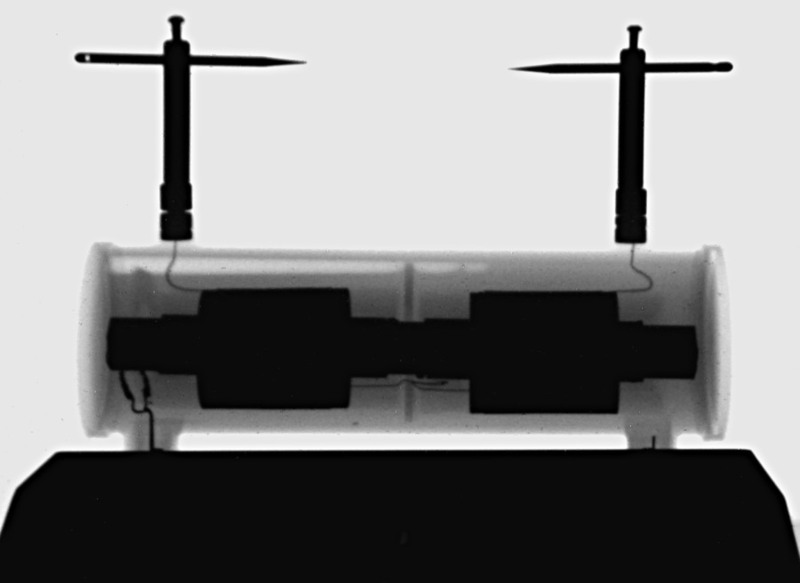 Reads 350 cpm on a pancake GM tube (the radioactive lens itself is buried deep within the assembly). In front are some small lenses salvaged from a variety of ’50s-’60s-vintage still and movie cameras. Hottest among these is a Kodak 3″ f/2.8 Ektar lens, reading 10 kcpm on a pancake GM tube. Radium paint was used for glow-in-the-dark applications from the 1910s through the ’60s. Many people know of the tragedies suffered by early watch dial painters due to ingestion of radium. The articles in my collection were probably all machine-painted, however. 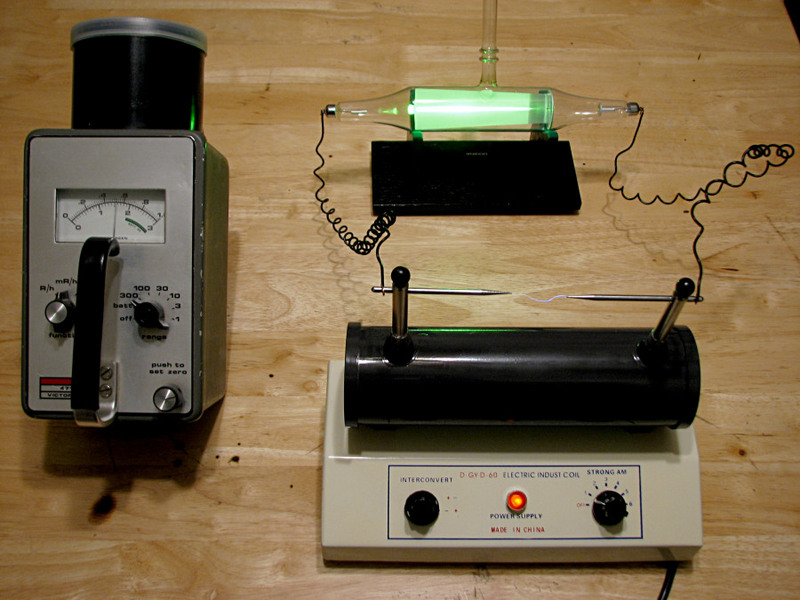 The glow from these devices is feeble today, the result of radiation “burnout” of the zinc sulfide phosphor and NOT because the radium has decayed. It remains virtually as radioactive as it ever was. 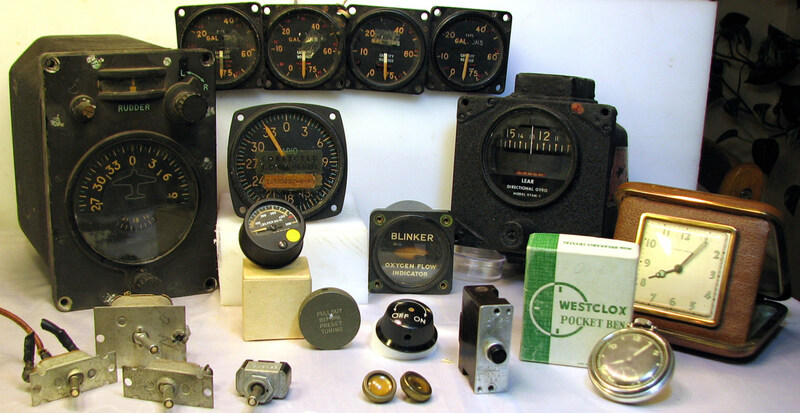 In the back are WW-II / Korean War vintage military aircraft instruments: gyrocompasses, a radio compass, fuel gauges, an “oxygen flow indicator” and a small pressure gauge. The latter item was sold in large quantities in 2002-2003 by various surplus dealers. The larger dials probably contain a few microcuries of Ra-226. Lower left: radium-tipped toggle switches. Radium content is probably a few tenths of a microcurie. Right: some consumer timepieces with radium–Westclox “Pocket Ben” watch and a Phinney-Walker travel alarm clock. The older Westclox “Big Ben” clocks are also reliably radioactive and still inexpensive and commonplace collectibles. 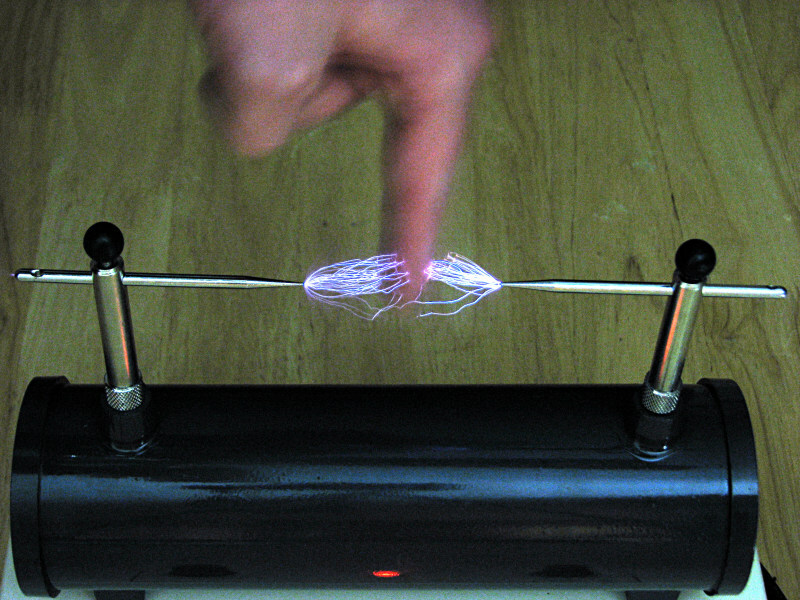 Radioactive power resistors obtained at “The Black Hole” in Los Alamos. The activity appears to be due to uranium and its daughters as determined by gamma spectroscopy. At first I thought the uranium was in the black vitreous glaze, but it actually appears to be distributed throughout the volume of the resistor material (also black in color). The activity is relatively mild–only about 300 CPM above background on a pancake GM detector. You are currently browsing the Special Nuclear Material blog archives for March, 2009.